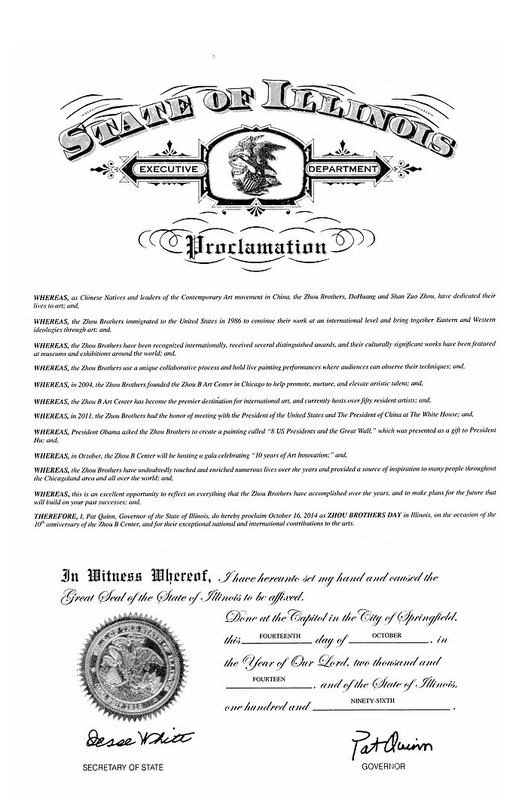 The Zhou Brothers, internationally acclaimed contemporary artists, celebrated the 10th Anniversary of the Zhou B Art Center by receiving a proclamation by Governor Patrick Quinn, announcing October 16th as Zhou Brothers Day in Illinois. The Zhou B Gala was held at the Zhou B Art Center on October 16, 2014, Linda Yu news anchor of ABC News 7 and Art Norman special contributor of NBC 5 News welcomed prestigious guests as the celebrity emcees of the evening. 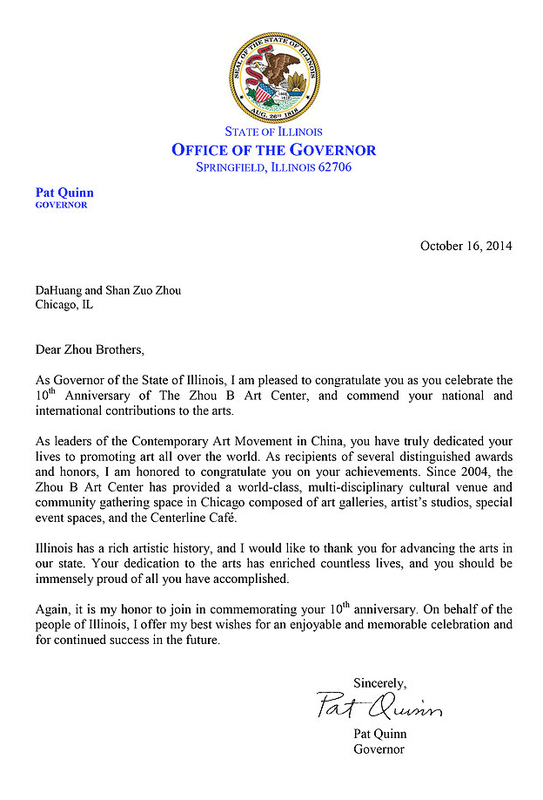 They welcomed the Chinese Deputy Consul General, Wang Yong, to offer his congratulations on the Zhou Brothers achieving their dream of creating an artist community to enrich Chicago and beyond.